Rock n' roll's bad boy is still at it. 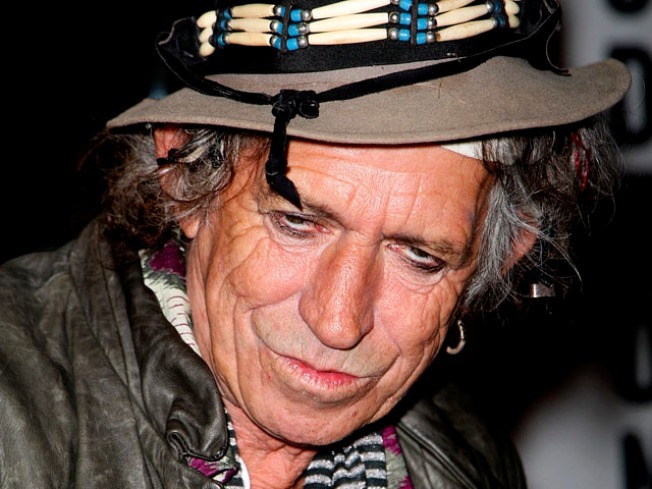 Rolling Stones' guitarist Keith Richards, who has been tried on drug charges five times, seems offended that his public imaging has softened. He insists he hasn't given up booze. "Rumors of my sobriety are greatly exaggerated," the 66-year-old Englishman told Rolling Stone in its latest issue. "And we'll leave it at that." Back in January, British rag The Sun reported that Richards was sobering up, despite claims that he would never give up the hooch. The comments come several months before a special re-release of The Stone's classic album Exile on Main Street. The record, which drops May 18th, was one of the highest ranked album of all time by The Rolling Stones and will include ten unreleased tracks. It will feature the never-before-heard song "Pass the Wine," a phrase which Richards insists he's still uttering. Richards has not ruled out more studio work later this year, but was less enthusiastic about another tour. Even if he can still party hard, it looks like rock's legendary guitarist is finally slowing down a bit.